The EC basketball teams’ seasons are well underway. 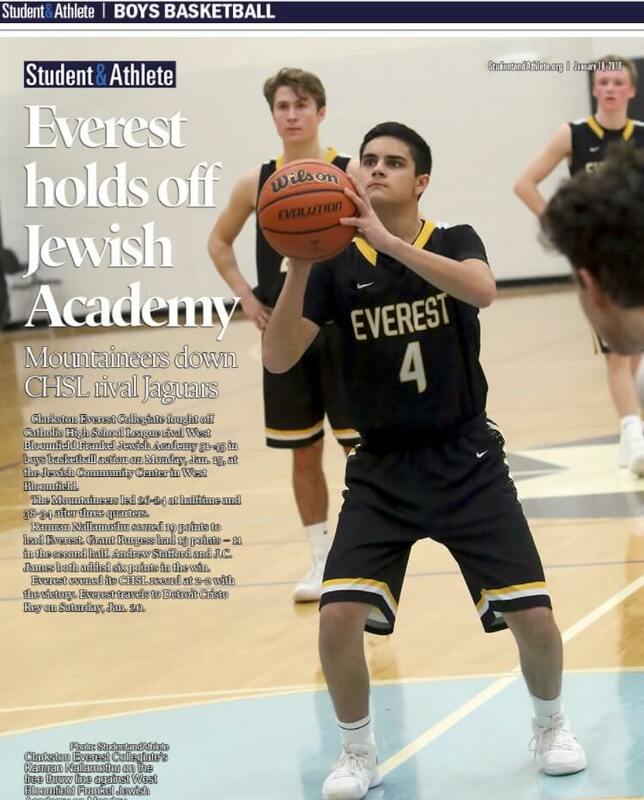 Most recently, our Boys’ Varsity defeated West Bloomfield Frankel Jewish Academy on Monday night. The victory was featured this week by Student & Athlete online: http://studentandathlete.org/011618_lead.html.